Your Dudleya succulents will forgive you if you mistake them for Echeveria. They’re used to the confusion. After all, this group of 45 species was at one time a part of the Echeveria genus. But DNA analysis (which we’ll leave to the professional botanists among us) has determined that Dudleyas are monophyletic, which means they are descendants of a common ancestor not shared by Echeveria. Now that we have cleared examine your Dudleya, with its pretty pointed leaves. 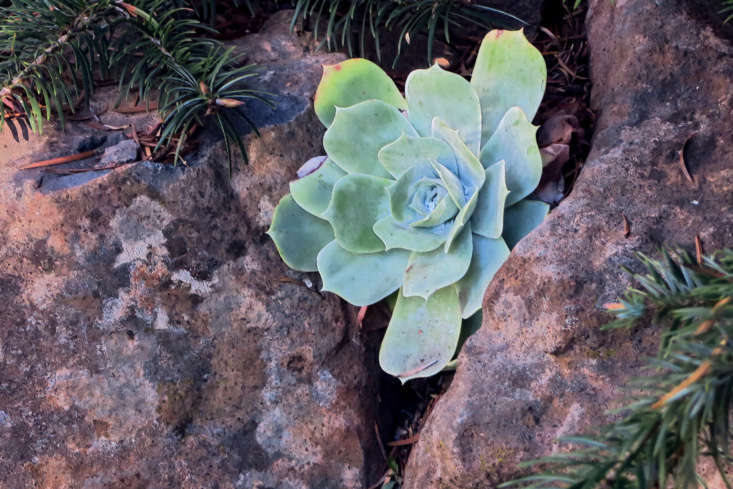 Native to western North America from Oregon to the Baja peninsula, these perennial succulents can be used (depending on the species) as ground covers, specimen plants, or front-of-the-border creepers. With a color range which includes gray, blue, and green shades of foliage, the sun-loving and drought-tolerant succulents are workhorses in dry gardens and Mediterranean climates. Above: Dudleya Brittonii ‘Giant Chalk’ in a 4-inch pot is $10.95 at Annie’s Annuals. Above: Dudleya pulverulenta (chalk dudleya). “The grayish, chalky (or farinose) covering that gives the species its common name protects it from temperature extremes,” writes photographer John Rusk, who shot this picture in Berkeley, California. Photograph by John Rusk via Flickr. 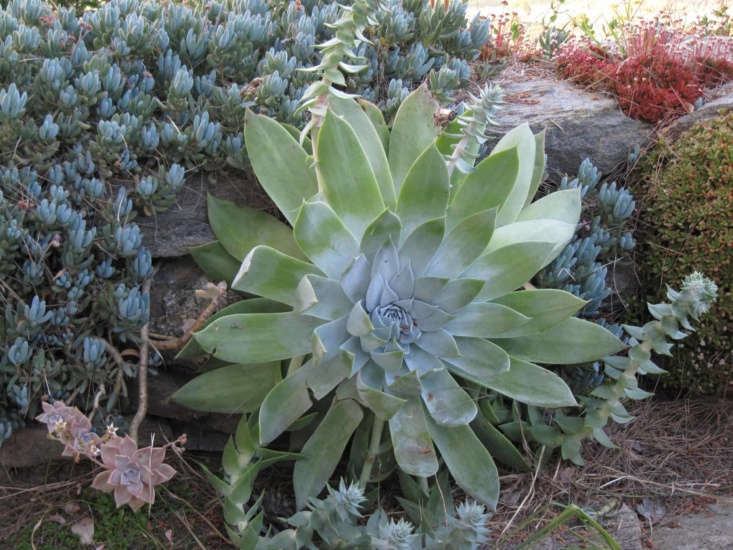 Dudleya will thrive in dry, warm conditions both in coastal and inland gardens in warm regions. Some exceptionally cold-hardy species, such as D. cymosa, can survive winter in colder regions (to USDA zone 5). 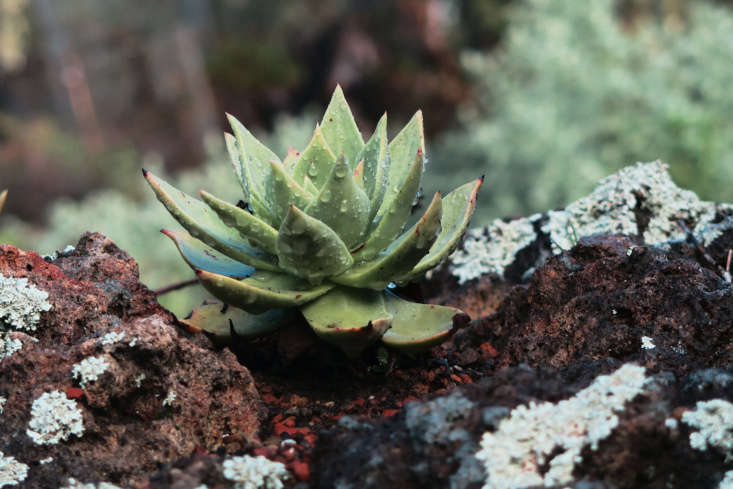 Above: Dudleya candelabrum grows in a rocky spot at Tilden Regional Park near Berkeley, CA. Photograph by John Rusk via Flickr. Chalk dudleya likes to be planted on a slope, in a crevice, or between rocks (as shown above). The “dense, chalky wax” that covers its leaves is protection against sun, wind, and other unwelcome weather, notes the California Native Plant Society. 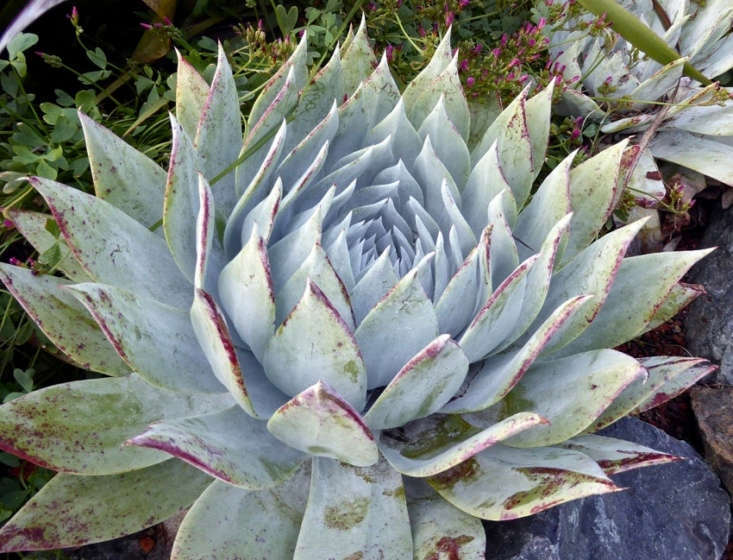 Dudleya earned its “Live Forever” nickname because its lifespan can top 100 years in growing conditions that make it happy. Above: Dudleya virens ssp. insularis (known as island green dudleya). Photograph by John Rusk via Flickr. A dense ground cover, Dudleya virens is a branching species native to Santa Catalina island in southern California. Depending on the species, Dudleyas will exhibit either branching or un-branching habits: single rosettes (which make excellent focal points in a garden) belong to unbranched species and low-growing, spreading clumps (which are good ground covers) are branching species. Dudleya is a good choice for a container garden; pair it with other plants with minimal water requirements and use a cactus mix soil. Flowering Dudleyas are a lure to hummingbirds. During dry months, Dudleya may shrivel and wilt; it will regain its pillowy plumpness in wetter months. Above: D. brittonii. Photograph via Tree of Life Nursery. Dudleyas will tolerate sun or partial shade. In their native environments, Dudleyas grow in very dry conditions; do not water them during summer months when their native desert climates don’t get rain. 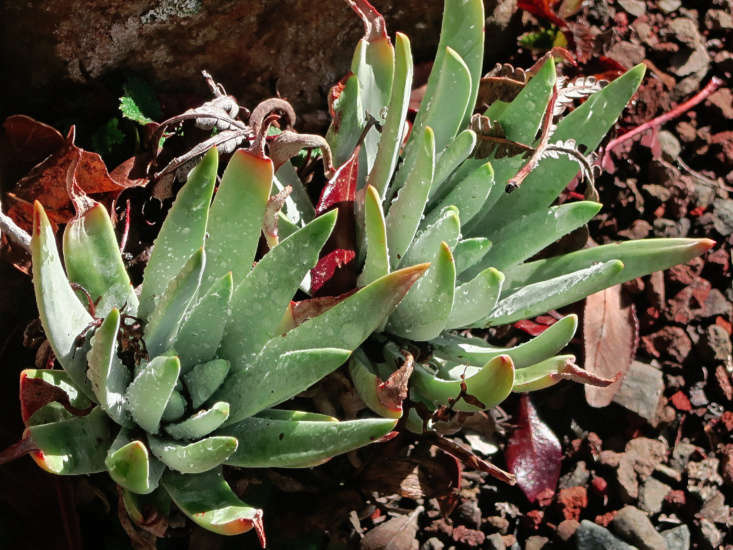 Varied soil conditions—including rock, clay, and sand—are acceptable to Dudleya. Dudleyas are evergreen perennial succulents in USDA zones 9-11 (with some species able to tolerate colder climates).